When our founder, Nancy Davenport-Ennis became motivated to act on behalf of patients, it came as a result of assisting a close friend who had been diagnosed with stage 4 breast cancer at 37 years old. During this experience, Nancy and her husband Jack realized the need for advocacy services was widespread and that too many women like her friend Cheryl were facing challenging medical and insurance situations without an idea how to move forward. 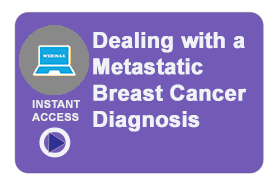 PAF's mission is to serve patients dealing with any number of debilitating, life-threatening or chronic diagnoses, including breast cancer and metastatic breast cancer. As we continue to produce materials specific to breast and metastatic breast cancer patients, we proudly honor the memory of Cheryl Grimmel. 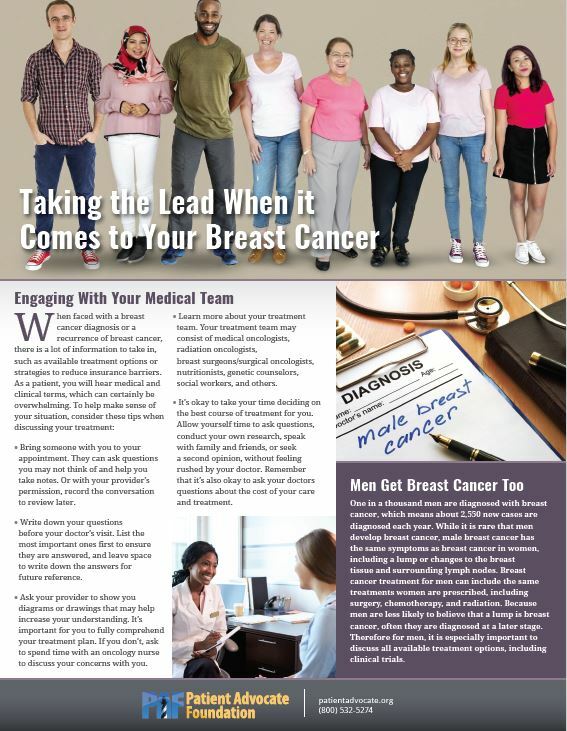 This Breast Cancer Resource Directory project is provided to you through donation support from the Novartis STEP (Solutions to Empower Patients) Program, along with support and guidance of the Patient Action Council delegates and the Patient Advocate Foundation. 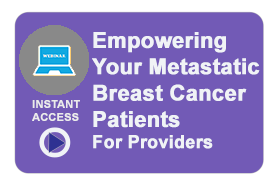 Resources displayed within this tool have been reviewed and selected because they provide value and support for patients diagnosed with breast cancer or metastatic breast cancer. Disclaimer: This project identifies external programs and organizations that may potentially be able to provide assistance to patients based on entered selection criteria. 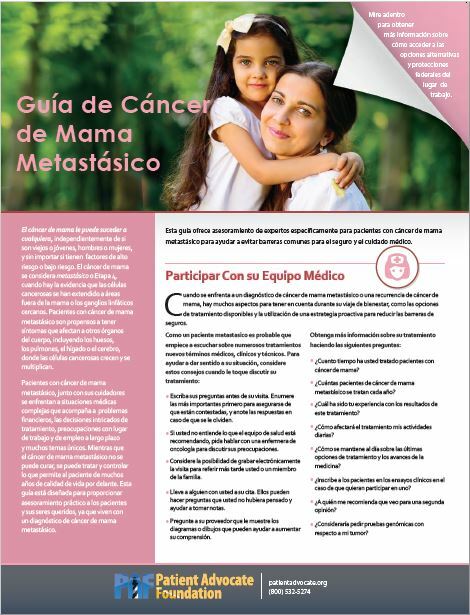 The Patient Advocate Foundation does not have any direct connection to the operations of these resources and thus no influence on eligibility criteria, selection process, fund availability or program details and does not promise or guarantee any level of support. Organization contact information provided through this tool is simply meant to be a courtesy for users and does not imply any endorsement. 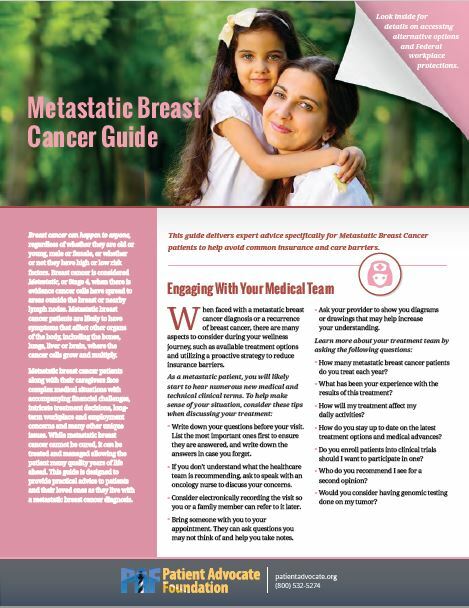 To search resources for conditions outside of breast cancer, please visit our National Financial Resource Directory at www.patientadvocate.org/financial. If you have a suggestion of an organization or program resource that provides services to uninsured and under-insured patients and would like to alert us about it, please send to us via this submission form. Our internal research team will review and add to our directory if it matches the vision and scope of our tool.